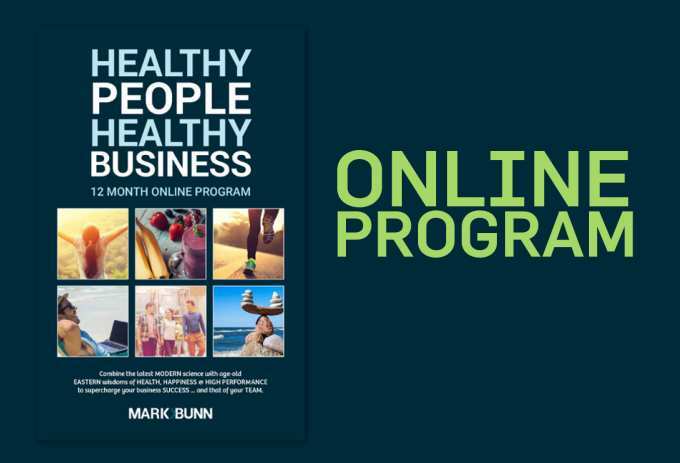 Mark Bunn wants to create a SHIFT in our thinking about health, happiness and stress. We've never had more access to health information than we do today. Everywhere we turn, there's a new diet, a new medication, a new exercise regime. Yet we're more stressed, depressed, sleepless and overweight than we've ever been before. Surely it should be simpler? That was the thought that possessed Mark after completing an honours degree in exercise physiology, a demanding course of studies deeply entrenched in western health science. As a professional AFL footballer, Mark's already-deep understanding of exercise and nutrition was rooted in high-performance health science - and he'd even brought Transcendental Meditation into the locker-room as a 19 year old sportsperson looking for something... better. But the years of training and study hadn't provided the holistic answers to health and longevity he was looking for. A volunteer trip to South East Asia for an aid organisation changed all that. Mark witnessed masses of the incredibly poor who were ... also incredibly happy. "…everyone is still raving about it!" They didn't worry about good fats, bad fats, cholesterol levels or high-tech exercise programs. Their levels of health and happiness were off the charts compared to our sophisticated western society. So began Mark's research into Eastern medicine. 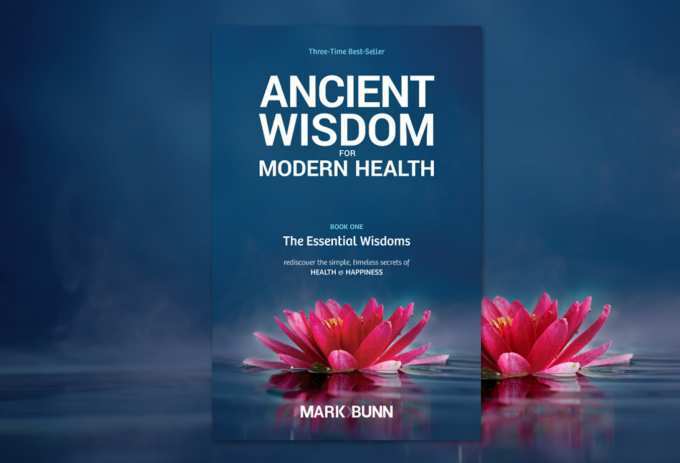 After years of studying the world's healthiest, longest living people and formal training in Ayurvedic medicine (Maharishi Ayurveda), he wrote ‘Ancient Wisdom for Modern Health’. It's popularity in becoming a three-time best-seller confirmed Mark's belief that making health simple is the key for sustained happiness at work and home. Mark's continued research has led him to study those business successes who also manage happy work-life balance, a topic particularly close to his heart after losing his wife to stress-related breast cancer. This personal tragedy deepened his empathy for those suffering from health issues that could be prevented and motivated him to continue his studies into the latest science on mind-body medicine & positive psychology. Throughout history we have always had people invested in health, and their collective ancient understanding still holds tremendous value to peoples throughout the world. Mark's combination of modern and ancient systems of health provides a unique approach that simplifies the prevailing confusion in our lives. He has now condensed all this into his popular keynote - The Daily Habits of High Achievers - showing how for high-performers today, looking after themselves - mind, body and spirit - is the key foundation for their success. For businesses, it's a no-brainer! A motivated, healthy team is a happy high-performance team. When he is not writing or speaking, Mark is a trained teacher of Transcendental Meditation and has recently taken on the role as CEO of The David Lynch Foundation Australia (DLFA). DLFA is not-for-profit charity that helps reduce trauma and toxic stress in at-risk populations through evidence-based stress-management techniques including the Transcendental Meditation Program.